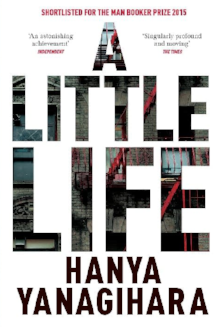 A Little Life by Hanya Yanagihara — Camper Reads: Reading With Intent. A Little Life beautiful and sad story based around a character living in New York, with a dark and heartbreaking past, and his relationships with the people who surround him. I enjoyed this book, and despite being a large 700 pages, I was able to read it faster than most smaller books, as for the majority, I couldn't put it down. Hanya Yanagihara is a wonderful writer and was able to draw the reader in to the characters' lives, step by step, revealing the perfect amount for each moment of the novel. However, in doing this, there were definitely dull moments that I understood were necessary for character development, but left me really pushing through certain chapters, and as a result disconnecting for a moment. Indeed there is a tonne of hype around this book, and while deserving of the hype...maybe I need my heart to be truly torn into a million pieces in order to completely be taken by a book of resounding sadness. To me it was a great read, but just below incredible.